Reflective learning typically involves looking back at something, a past experience or idea and critically analysing the event. 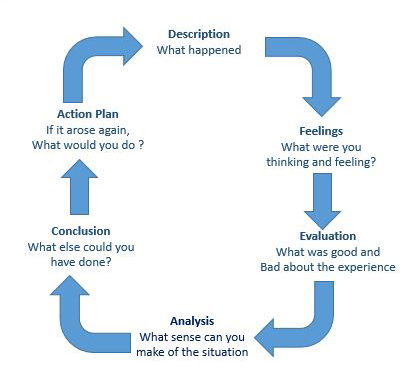 By looking at successful and unsuccessful aspects of an experience, reflection will help students learn from their past experiences and turn surface learning into deep learning. Apart from helping students to develop greater self-awareness, reflective learning helps students identify gaps in their learning and areas for improvement. Boud et al. (1985) suggest that structured reflection is the key to learning from experience, and that reflection as such can be a very challenging part of the learning process.